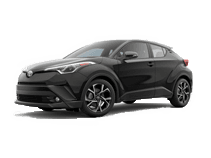 At Vann York Toyota, we carry a large inventory of new Toyota vehicles. Conveniently located near Greensboro, Kernersville, and Winston-Salem, our we invite you to come in to test drive one of our new Toyota vehicles today. We believe in providing you with the relevant information you need to make the best buying decision for you and your family. That's why we developed this website! It offers all of the top-notch information you need about any of our new or used vehicles, all in one convenient location. Our website can be used as a resource to find useful information about the car you want, and we want you to take advantage of all we have to offer. Whether you shop on our website or in person at our High Point Toyota dealership, you will receive the same fantastic service. Feel free to give us a call to (336)645-3580! Why Buy at Vann York Toyota? Take advantage of the perks you get with buying a vehicle at our dealership such as No Cost Roadside Assistance, Free Full Tank of Gas, Full Tank of Gas among many more perks! Vann York Toyota stocks a large selection of new Toyota models, including the legendary Toyota Camry, Corolla, Prius, and many others. One of the most important things you can do when during the buying process is explore multiple options. That's why you will find a comprehensive listing of our new vehicle inventory on our website and at our dealership location. Use the buttons in our inventory listings to find pertinent details about any vehicle in stock. If you are trading in car or truck, you can get it's value with our Value Your Trade form. You can get pre-approved for an auto loan, or use the "Get Our Best Price Now" button to get our hassle-free Internet price. If you are looking for an even more affordable option, you can choose from our premium, low-mileage used vehicle inventory. Today's used vehicles are now more dependable than ever because of advanced technologies now used in the automotive industry. Visit us today to test drive a quality used car. Shop our inventory of Toyota Certified Used Vehicles to get a car or truck in peak condition, and with warranty coverage and many other benefits! If you are planning to finance your new Toyota or a used vehicle, take advantage of the tools we offer to speed the process along. You can estimate your payments with our online calculator, or go ahead and apply for an auto loan. If you already own a Toyota and need service, our factory-trained service technicians are standing by to help you! Remember to view our currently running service specials to save on Toyota parts and service. Do you need Toyota parts? Come to our parts department or order auto parts online! Vann York Toyota is located at 500 Eastchester Drive in High Point, about 16 miles from Greensboro and 20 miles from Winston Salem. If you are near Winston-Salem or Greensboro, we invite you to come to our location to test drive any new Toyota in stock. You will receive a warm welcome and courteous customer service when you visit Vann York Toyota.